To include your transactions in the Net Worth Tracker, you can add a Transactions sheet to this spreadsheet. 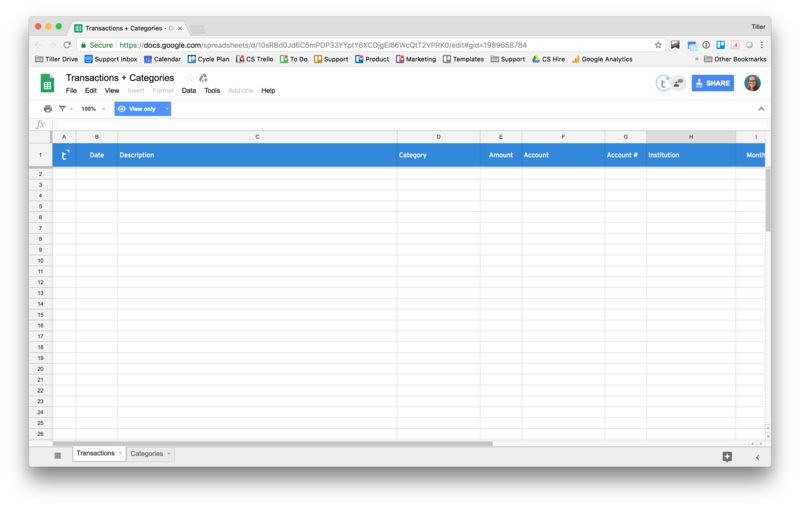 Open your Net Worth tracker and copy the URL of the sheet. Click here to access a view only empty Transactions sheet. Right click on the Transactions sheet tab at the bottom. Choose “copy to” and then paste in the URL of your net worth sheet into the bottom of the “Copy to” window that opens. Navigate to your Net Worth spreadsheet and find the newly copied transactions sheet. Tiller will update this sheet the next time a refresh occurs or visit your Tiller Console to initiate a refresh. Optionally, use the same steps above to pull in Categories sheet from the linked sheet above to include category logic in your Net Worth sheet and automate your category workflow with AutoCat.